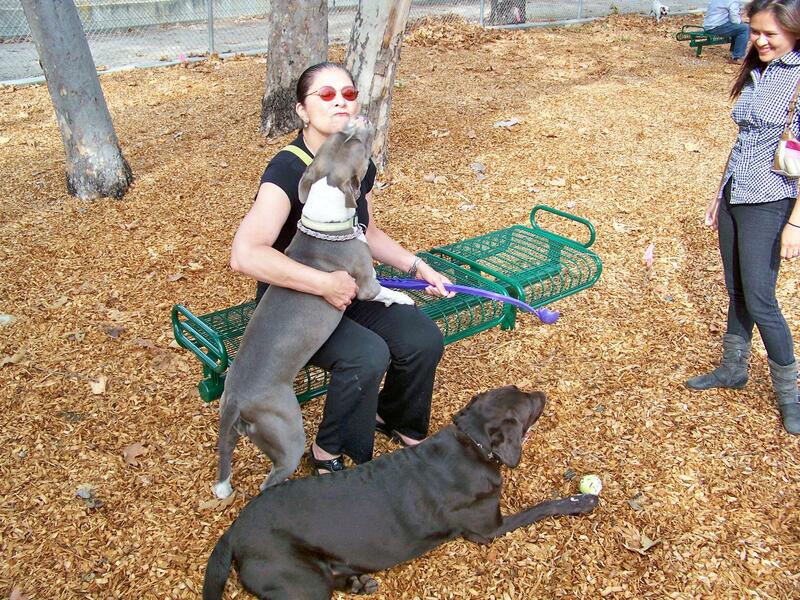 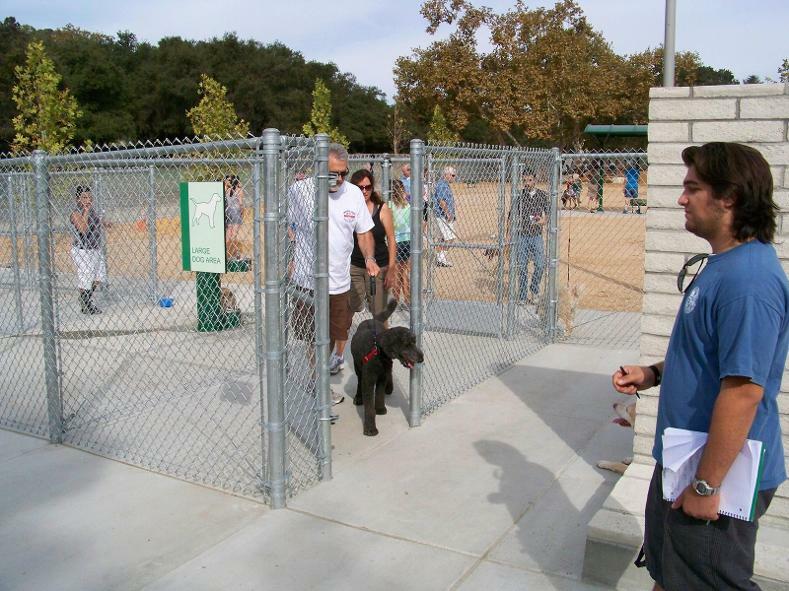 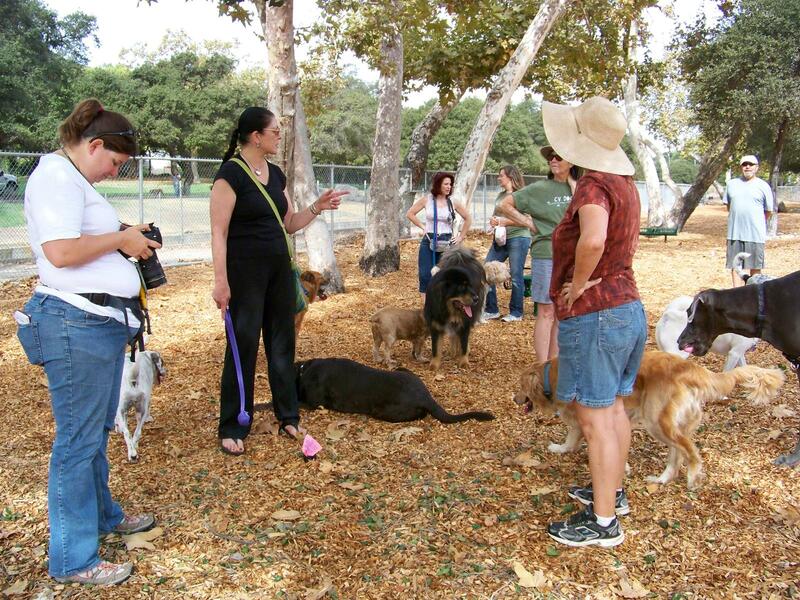 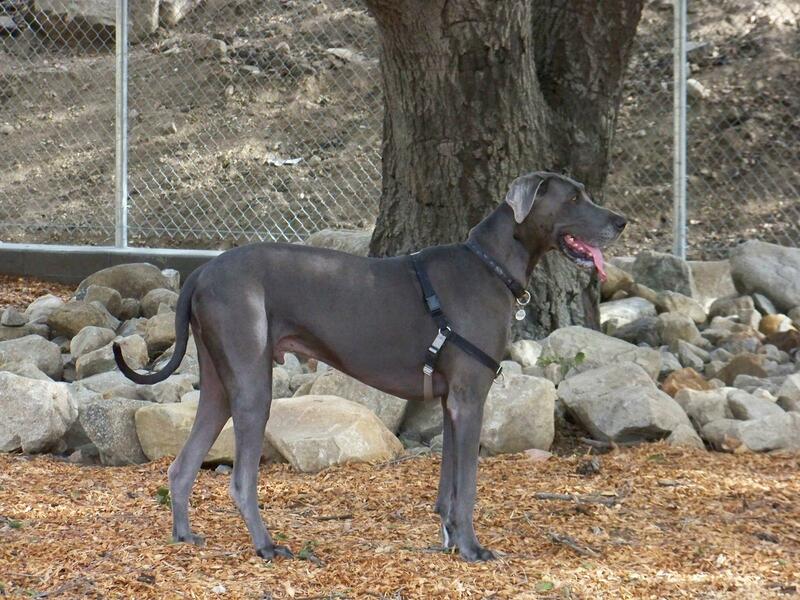 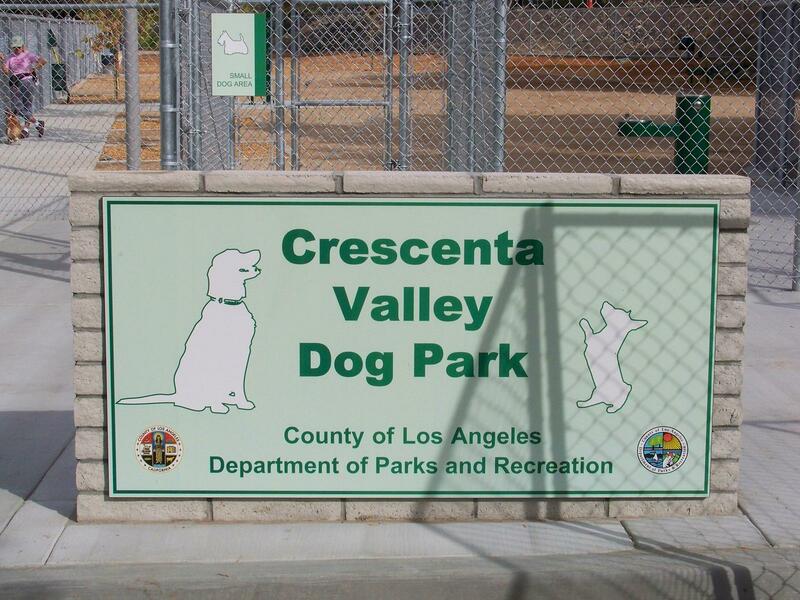 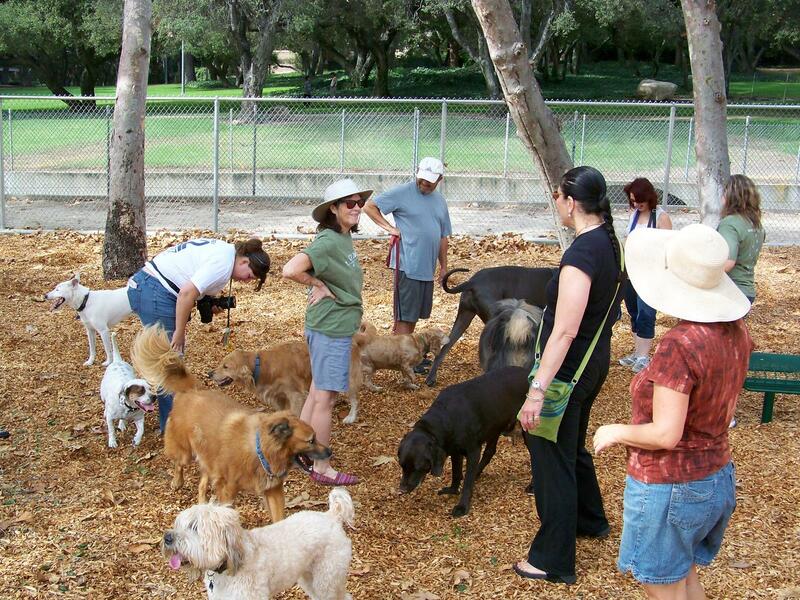 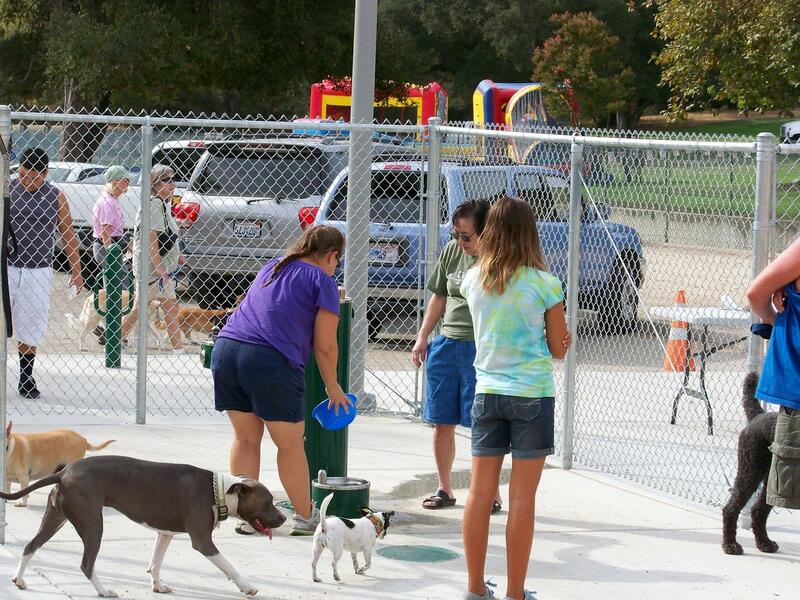 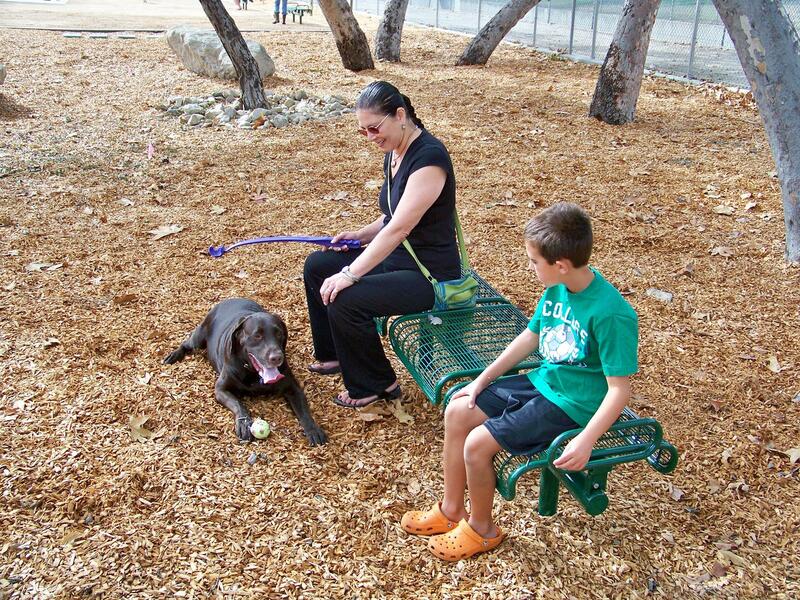 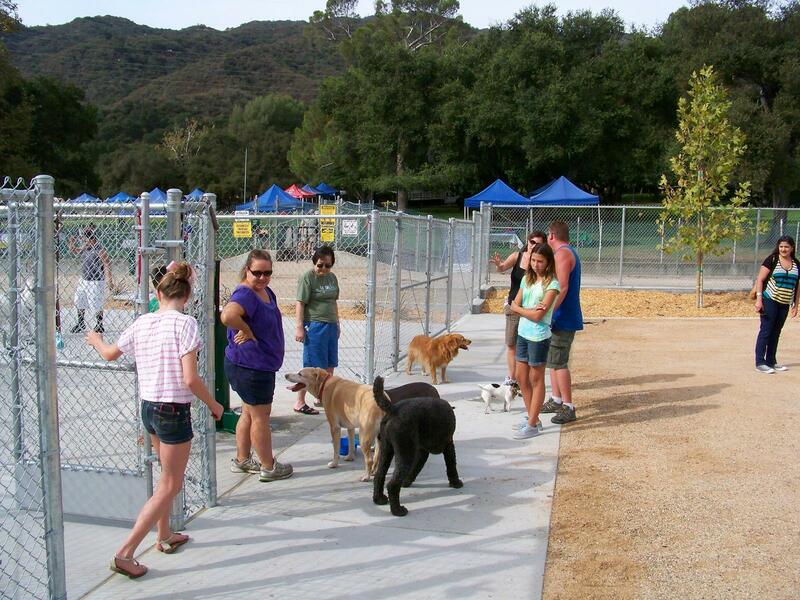 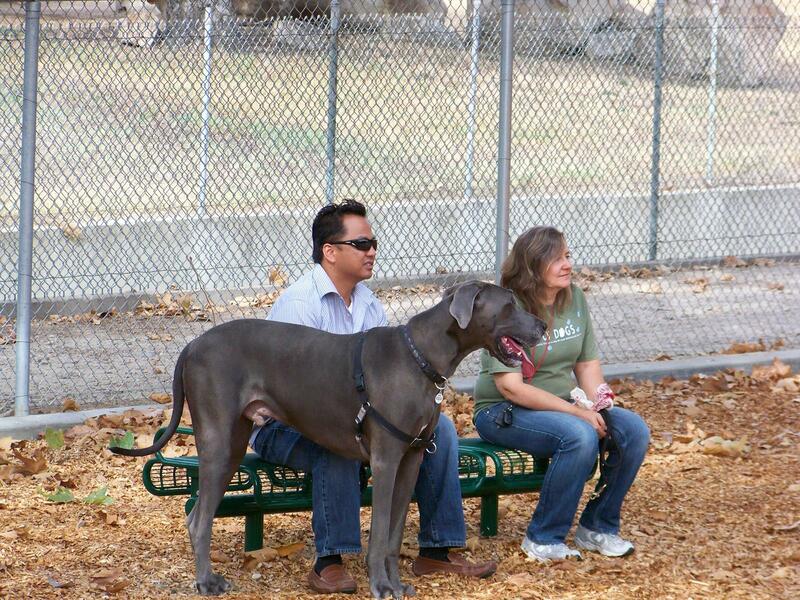 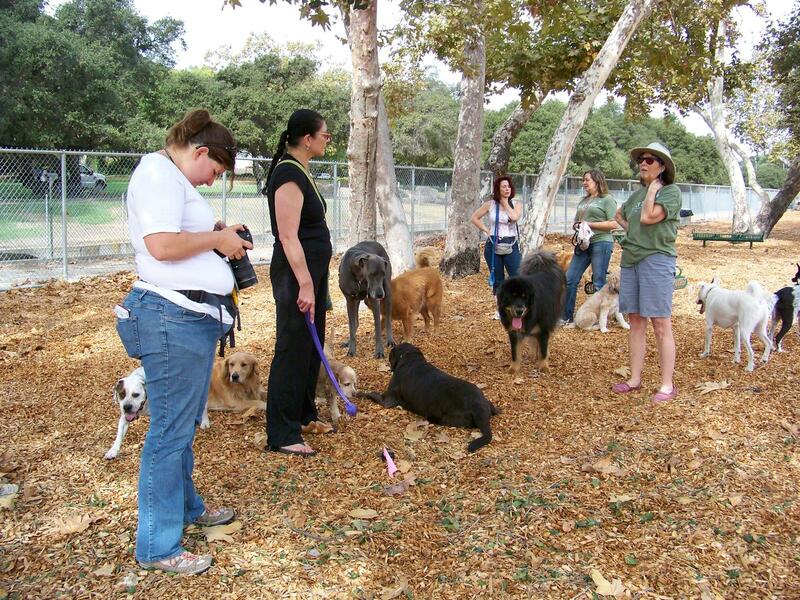 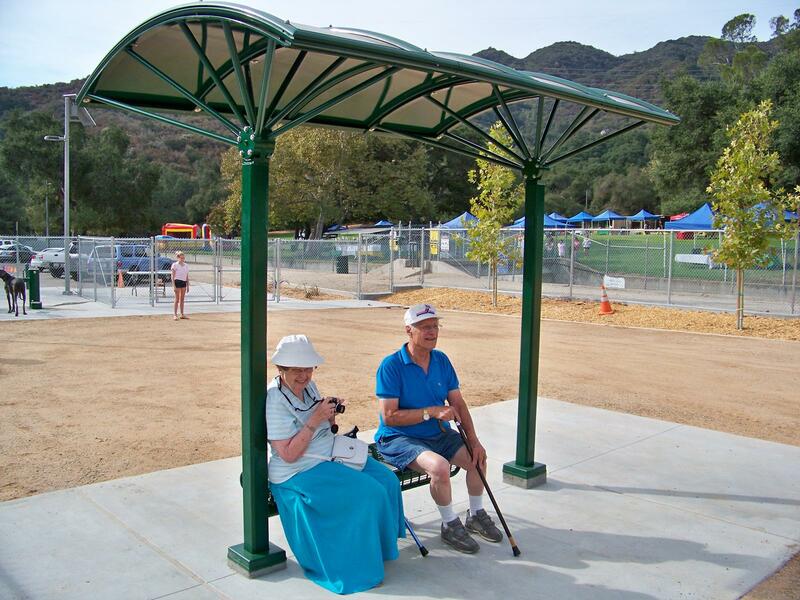 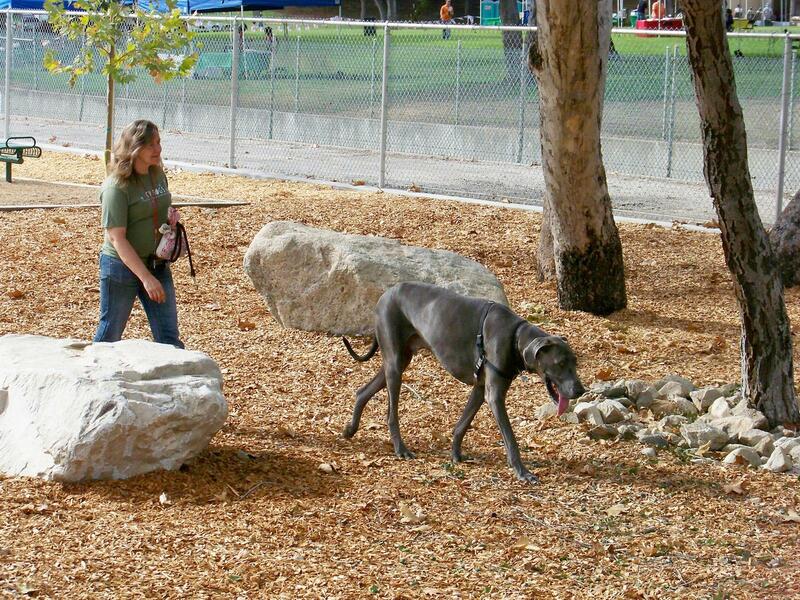 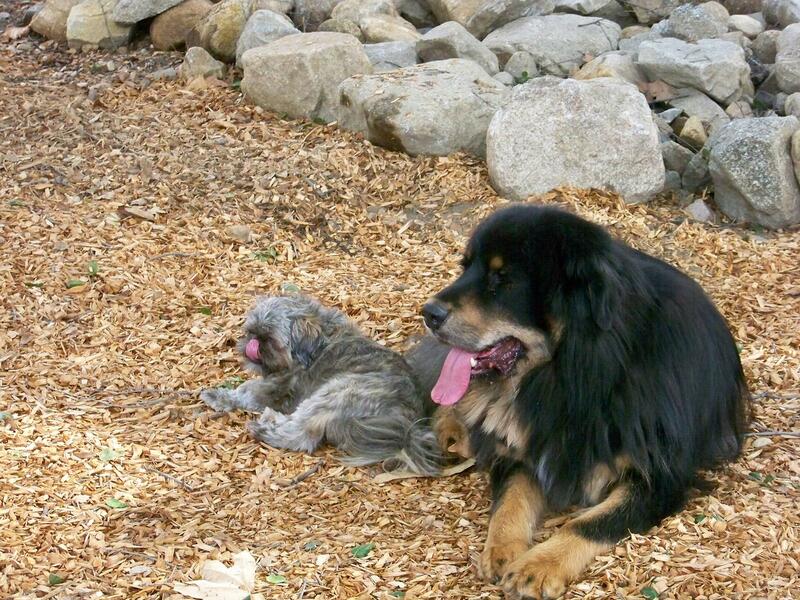 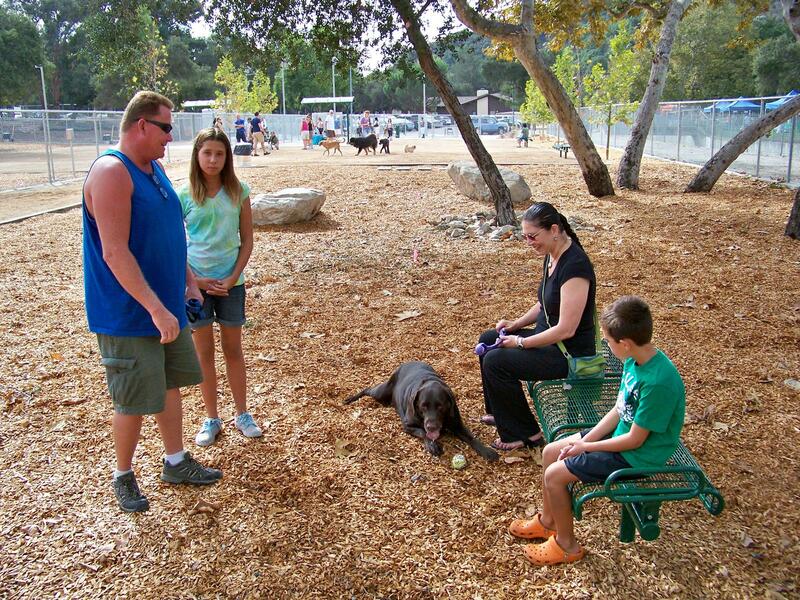 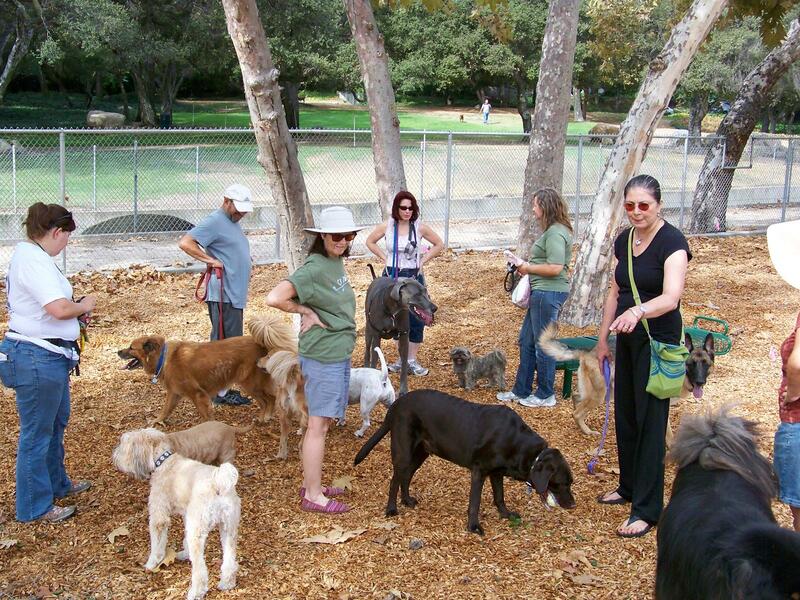 Crescenta Valley Dog Park is a community initiated addition to an existing County park (Crescenta Valley Park) located in the Los Angeles suburb of La Crescenta. 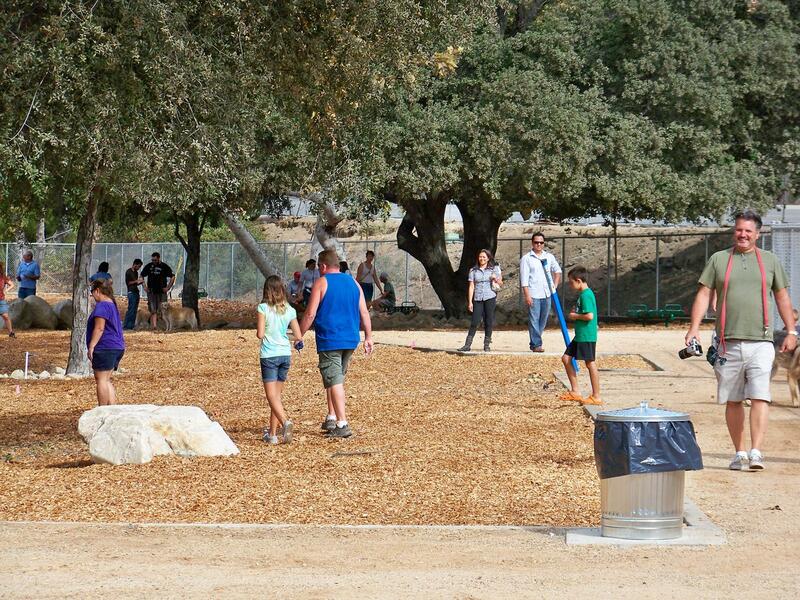 Meeting the needs of the community and finding opportunities to protect and restore the environment are priorities in the design and programming of our parks. 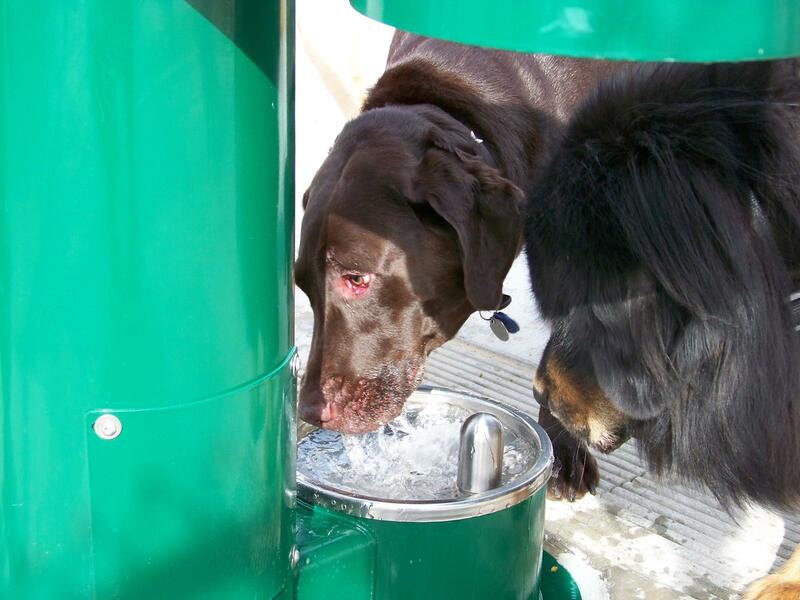 This project demonstrates these principles; it retains and cleanses stormwater, recharges the groundwater, conserves water and uses energy from renewable sources. 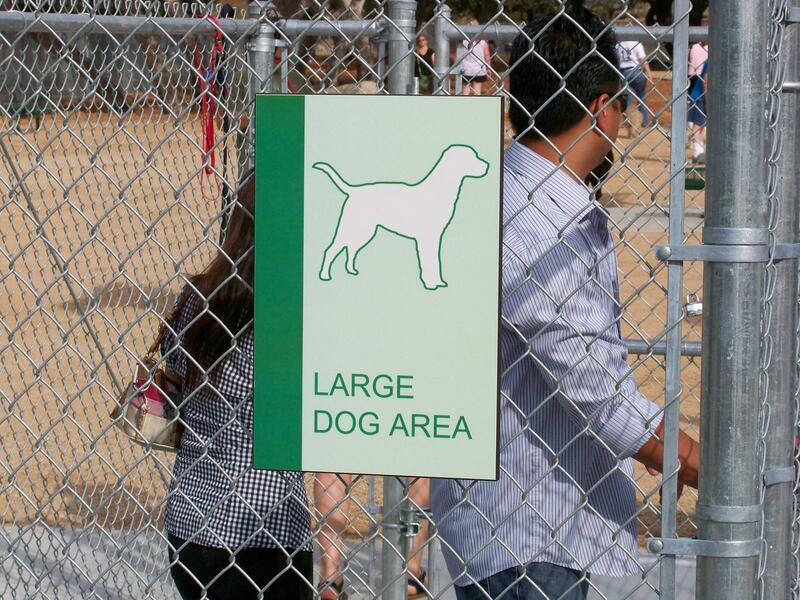 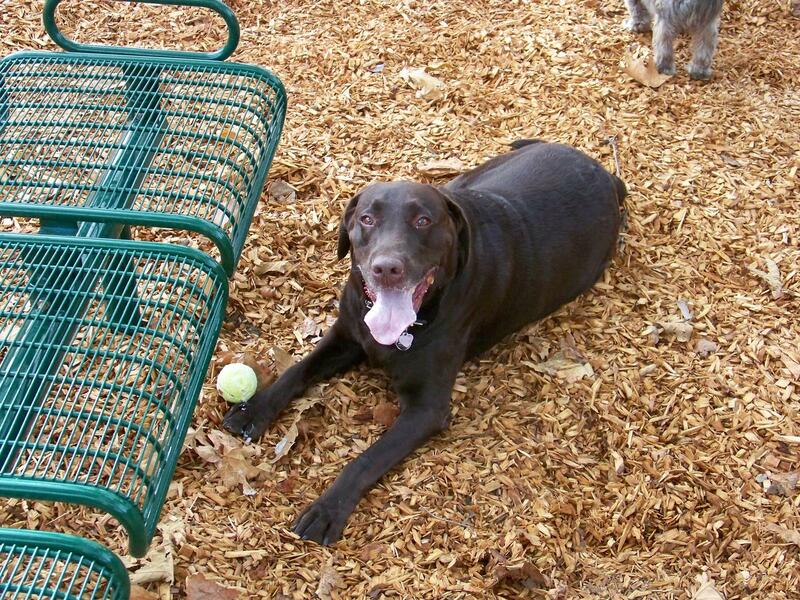 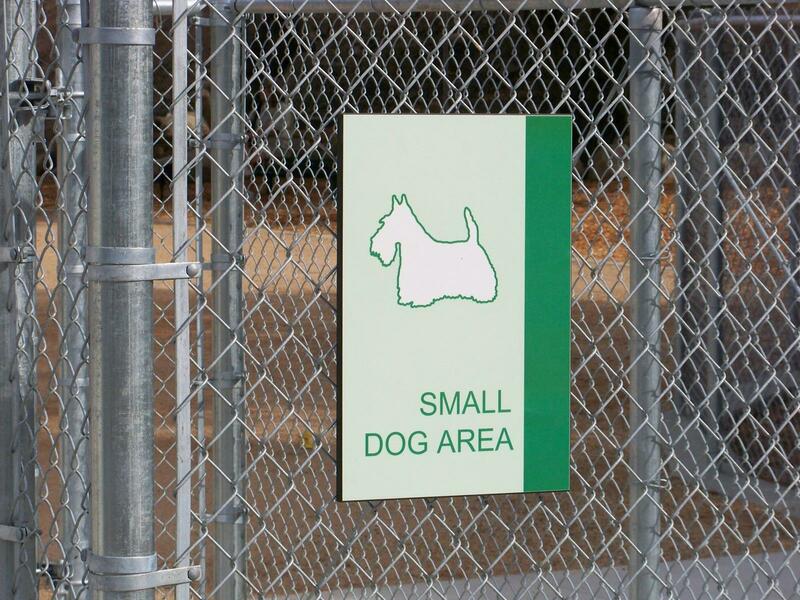 At the same time, it creates a balanced approach to accommodating dog owners in public open space, by providing a place to socialize and exercise dogs in a safe environment. 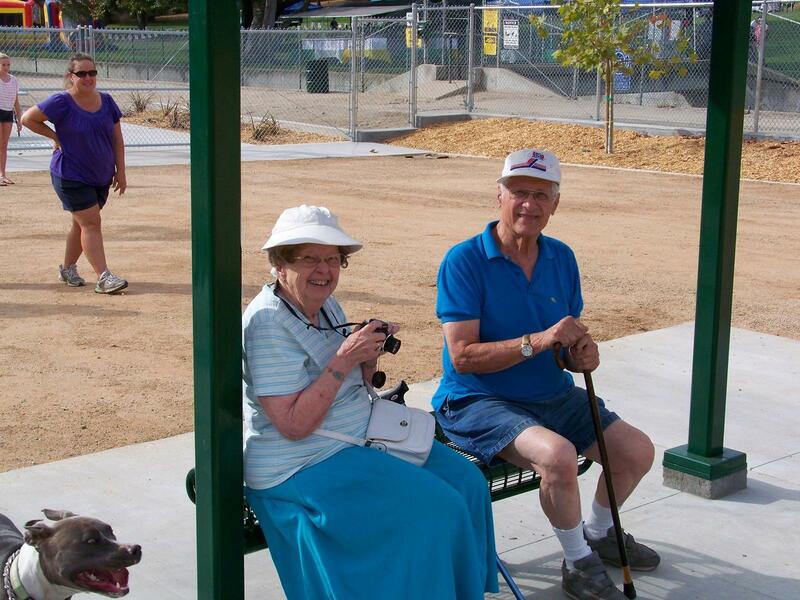 It brings people together through their common interest creating a greater sense of community in the park as a whole. 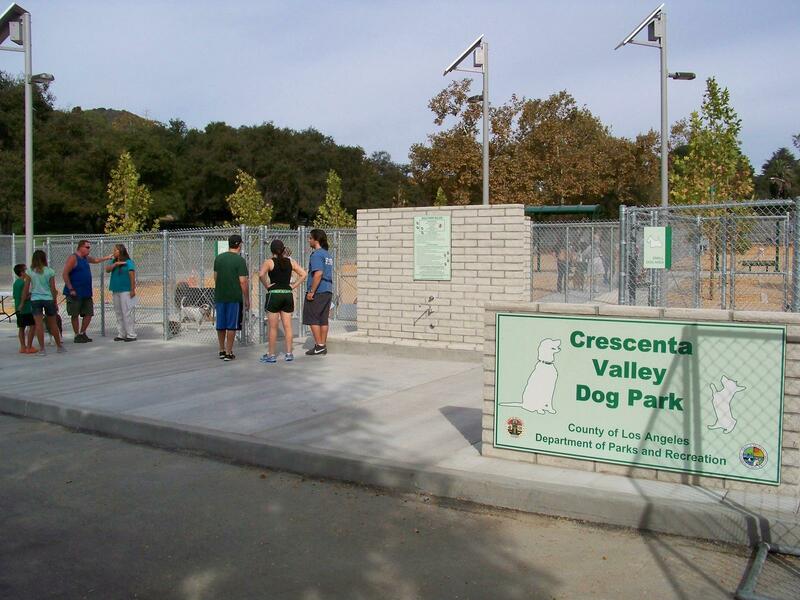 This project was lots of fun to design, and now that it is installed, it is even more fun watching the visitors run, jump and play.............the four-legged visitor that is. 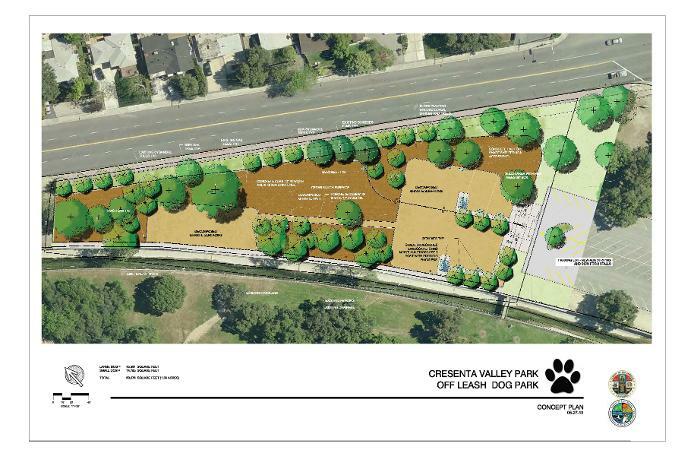 The amenities are security fencing, double gated entrances, a dog wash, and drinking fountains for the dogs as well as their owners, decomposed granite paving, cedar bark, lots of shaded benches, community bulletin boards, climate appropriate planting and irrigation. 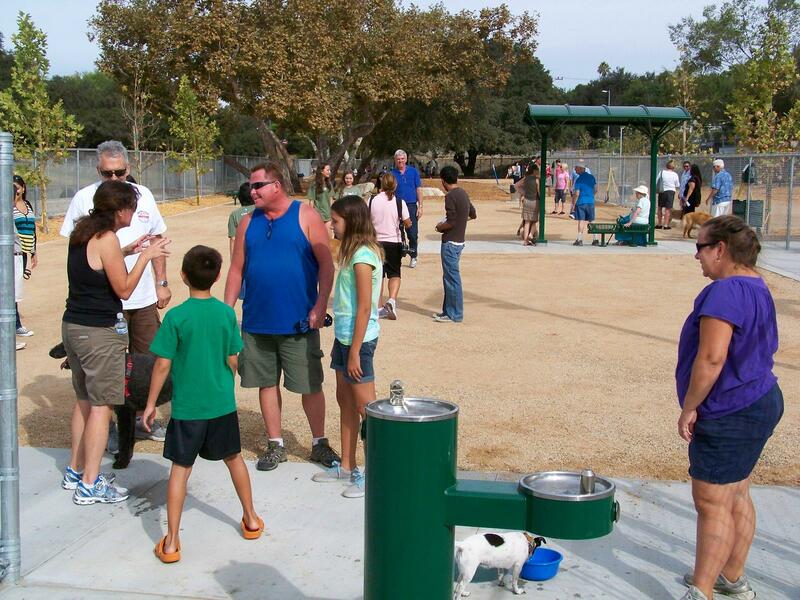 An underground drainage system helps in removing the surface stormwater rapidly, at the same time underground water retention devices hold the stormwater until it permeates into the ground resulting in 0% run-off. 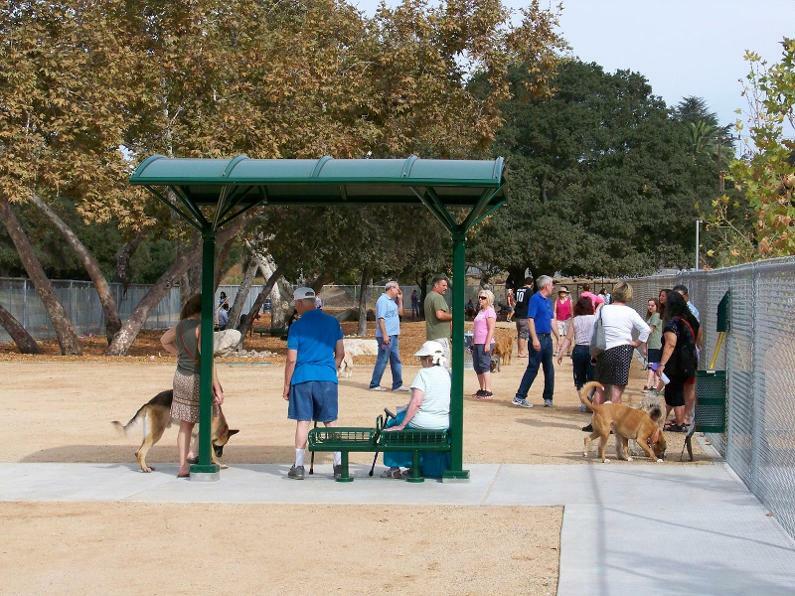 Solar powered security lighting and irrigation make this site not only the county’s first dog park but also most likely the state’s first sustainably designed dog park.